The Most Rev. Lawrence Persico, bishop of Erie, was the principal celebrant and homilist at the Mass celebrating both the 50th anniversary of Humanae vitae and Natural Family Planning Awareness Week. Two events were marked at Mass on Sunday, July 22, at St. Peter Cathedral, Erie. 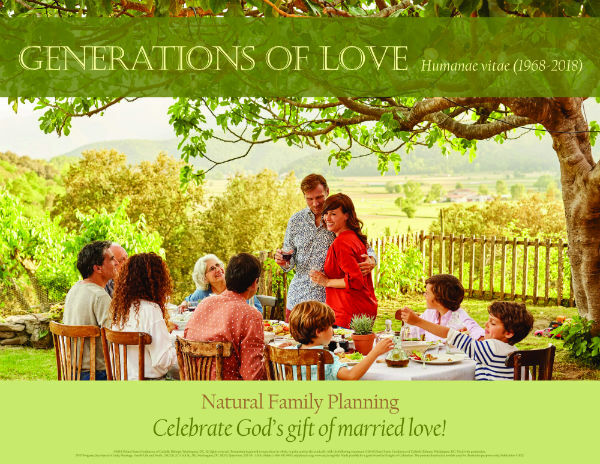 Both the annual celebration of Natural Family Planning Awareness Week and the 50th anniversary of Humane vitae, the 1968 encyclical written by Blessed Pope Paul VI, were observed. In his homily, Bishop Lawrence Persico recognized the prophetic work of Blessed Pope Paul VI. Bishop Persico noted that Humanae vitae remains a prophetic document. The bishop also noted that Humane vitae reminds us that the human body has beautiful, God-given worth and wisdom all its own, wisdom that is to be plumbed for its richness and lived with humility and joy. Many families who were in attendance are actively involved with teaching Natural Family Planning, and enjoyed a celebratory lunch together after the Mass.